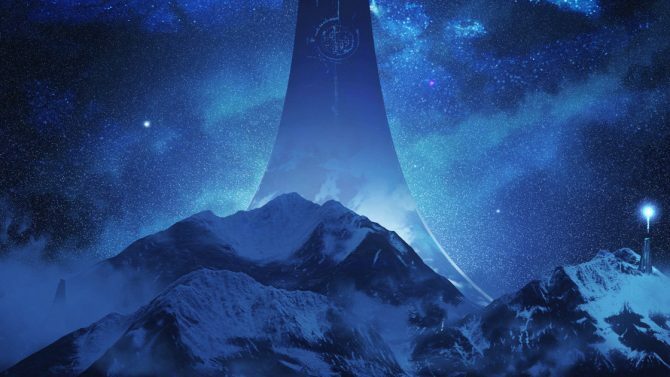 343 Industries has given fans a tiny spoonful of Halo Infinite info in the form of a new piece of concept art. While we’ve likely still got a ways to go until the release of 343’s next entry in the Halo universe, Halo Infinite, Microsoft’s first-party studio has revealed some new concept art from the game’s development. You can check it out for yourself below. The concept art is rather simple. It features a starry sky as a tremendous Halo ring sits ominously in the background behind some snowy mountains. That’s pretty much it, it’s not much to go off of but it’s at least nice to see that 343 has begun updating fans of the long-running first-person shooter series on its next installment. Hopefully, we’ll continue to hear things more frequently in the months ahead. I can’t help but get Halo: Combat Evolved vibes when looking at the concept art. And it’s hard not to when we know the game will focus on everyone’s favorite space marine ? Master Chief. It’s refreshing considering Halo 5: Guardians felt like it left the series’ main protagonist on the sideline throughout most of campaign. Halo Infinite was revealed earlier this year at Microsoft’s E3 2018 press conference. The trailer we saw was actually just showcasing 343’s new engine and wasn’t indicative of what the final game will be. 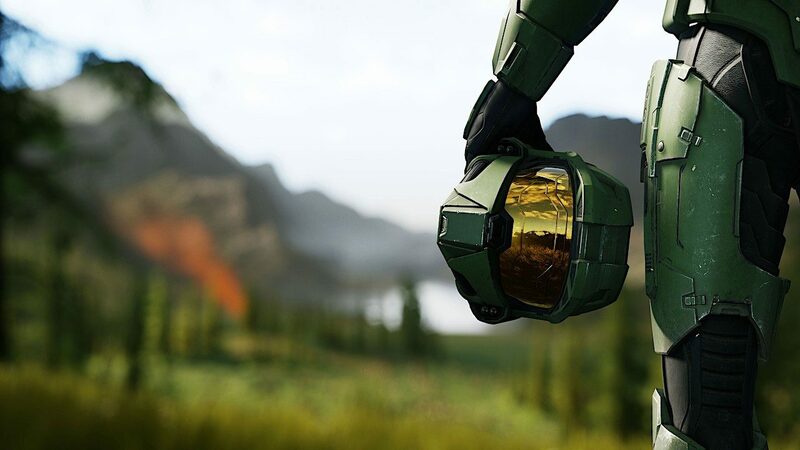 Halo Infinite will be coming to both Xbox and PC. With the current console generation seemingly coming to a close sometime in the next year or two, it’s unclear as to whether or not the title will be making it onto the Xbox One. We’ll just have to wait and see.